You don't have to travel to Europe to see cobblestone streets. 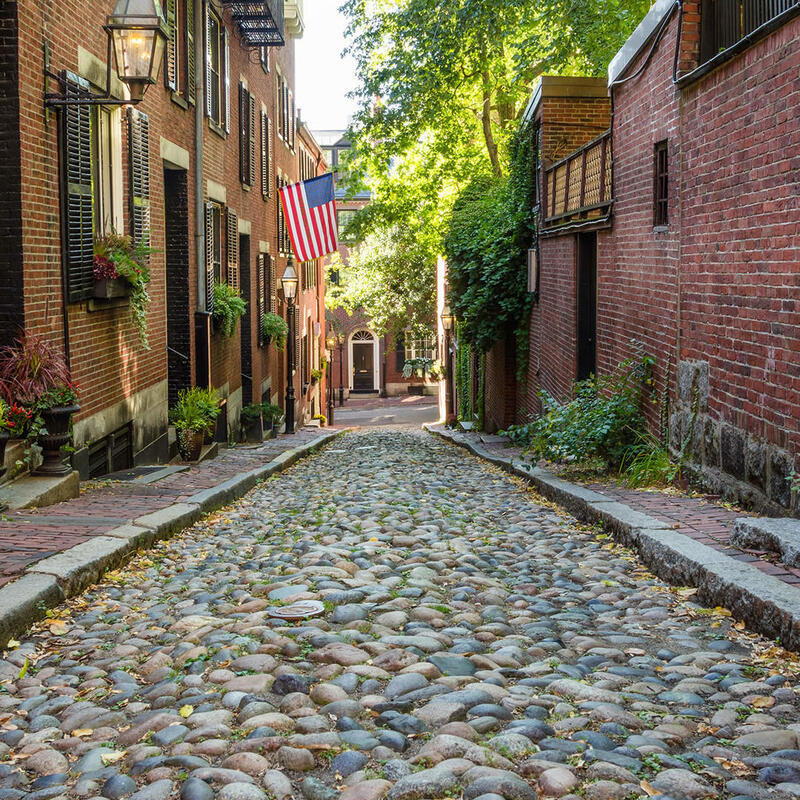 Acorn Street, in the Beacon Hill neighborhood of Boston, is a like stepping back into the 18th-century. The cobblestone street is flanked by red brick rowhouses with window boxes and gas lamps. As picture-perfect as it is, Beacon Hill is one of the most expensive areas of Boston.